The socket is a hidden element in the household as it is often deemed unattractive. The Douwes socket by Lotte Douwes turns this notion on its head and transforms the traditional socket into a beautiful everyday item that is bound to attract attention. The Douwes socket is hung just like a pendant lamp from the ceiling. This is particularly useful in places that don’t have nearby outlets, for example, when the desk is in the middle of the room. 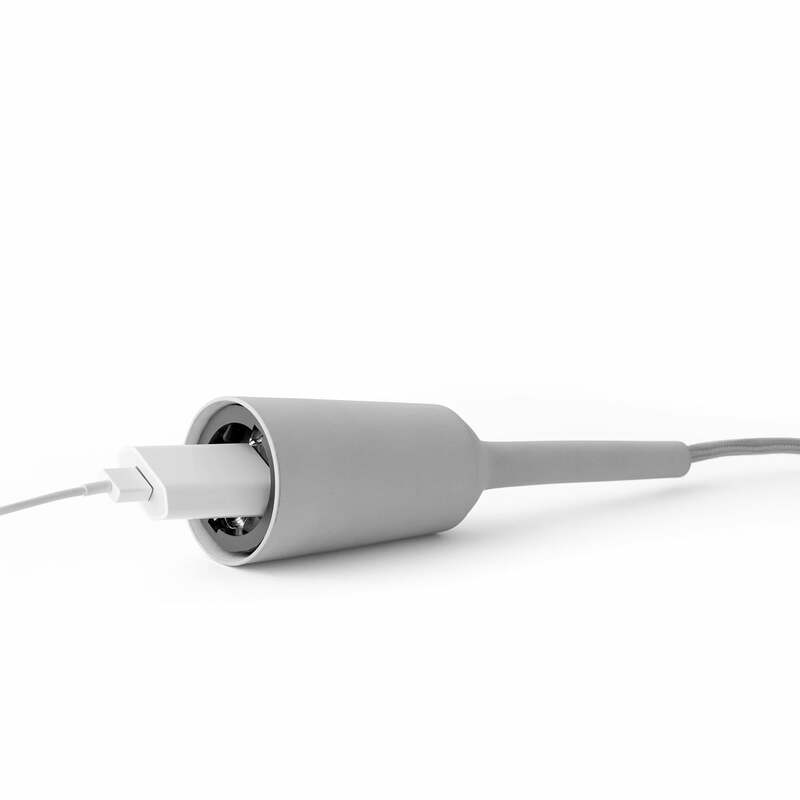 Thanks to the Douwes socket, smartphones, laptops, and anything else that requires a power source, can be simply and flexibly be recharged. The matching Douwes pendant lamp is also available. The two Douwes designs visually complement each other and work together to form a functional duo, for the home or the workplace. 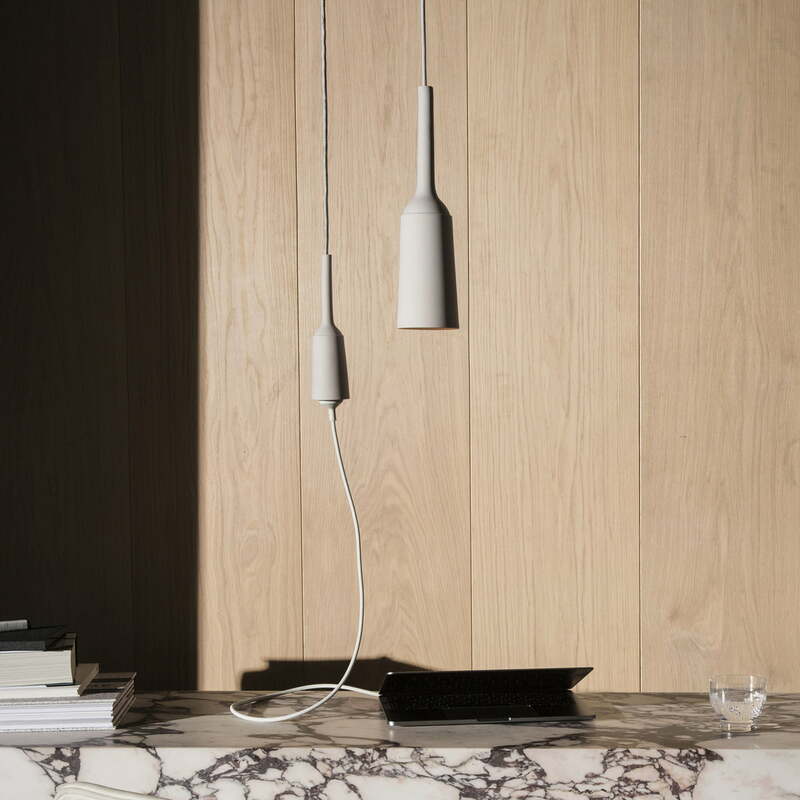 The ceramic pendant lamp is made by hand in the Netherlands. The cable and the ceramic are colour coordinated. The pendant socket looks particularly great above the dining table in the kitchen, above the desk in the office and anywhere else where a power source is needed. 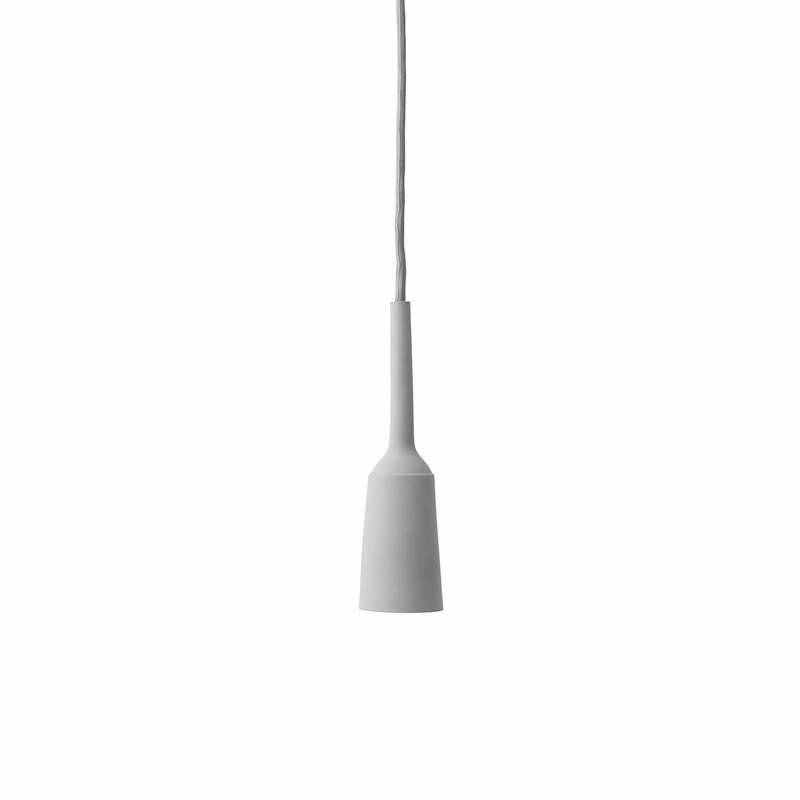 The Douwes Socket by Menu in Light Grey The ceramic pendant socket that hangs from the ceiling is made by hand in the Netherlands and features a flexible cable. The Douwes socket is hung just like a pendant lamp from the ceiling. Thanks to the Douwes socket, smartphones, laptops, and anything else that requires a power source, can be simply and flexibly be recharged. The socket is usually a hidden element in the household as it is often deemed unattractive. The Douwes socket by Lotte Douwes turns this notion on its head and transforms the traditional socket into a beautiful everyday item that is bound to attract attention. 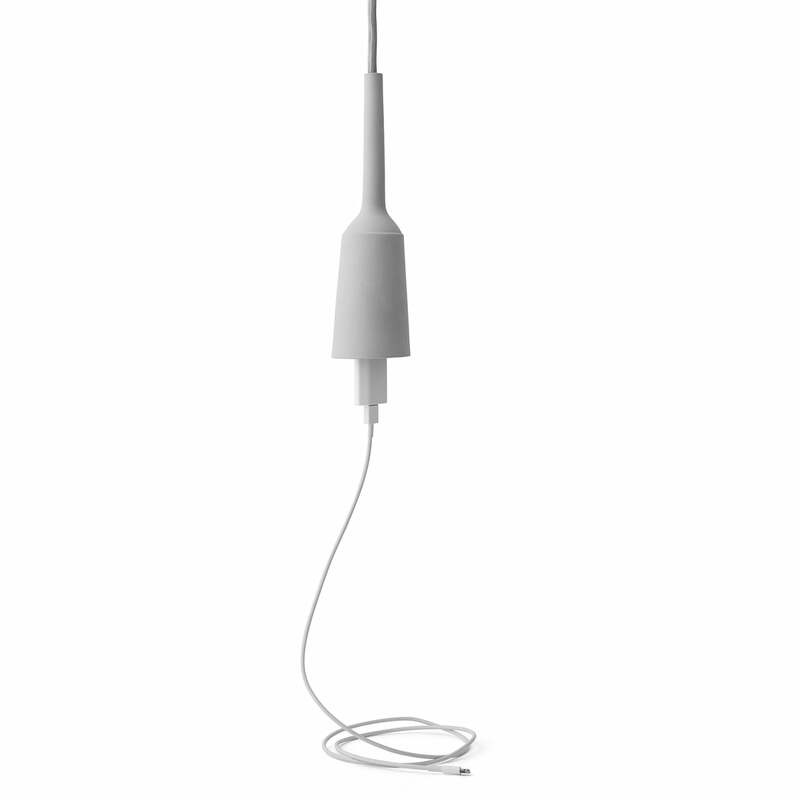 Isolated product image of the Douwes socket and pendant lamp by Menu: The two Douwes designs visually complement each other and work together to form a functional duo, for the home or the workplace.